My family is going through, as Jules in Pulp Fiction calls it, a "transitional period." We sold our house in Los Angeles just over a year ago and quickly bought another, 1950s-style, original-condition house about 1.5 miles from the beach. The new house needs pretty much everything redone, and the progress is going, well, slower than my already painfully slow expectations. We've done construction before, and we know nothing gets done on time, and everything is 35 percent more expensive; still, we are really delayed. When we sold our house, we rented a three-bedroom apartment in downtown Brentwood, not too far from where Ron Goldman (from the now 20-years-old O.J. Simpson case) used to work at the Mezaluna Restaurant, which is now a Coffee Bean and Tea Leaf (eat your heart out, Adrienne). The apartment was fine for the first six months, but then some UCLA graduate students from Dubai moved in below us, and they smoked both cigarettes and weed nonstop. You would walk in at 6:00 p.m., and our home looked like Cheech and Chong were living there, as the ventilation was below sub-standard. It was terrible. People laugh at the next problem; but, to make matters worse, a cute blond woman moved in next to us, and her master-bedroom wall was shared with ours. Despite having two layers of both drywall and 0.75-inch-thick MDF plywood between us, at three in the morning, we could hear this Range Rover-driving, Hollywood cutie snoring with a low-frequency power and volume normally reserved for an SVS subwoofer. It was time to move...and move we did, even though the house wasn't anywhere close to done. We still had 12 months before we were going to be able to move in. There were many costs associated with this unexpected move, but the one that hurt the most in moving from the apartment to a condo was Internet performance. The new condo that we are now living in is better in almost every way than the apartment: It's quiet, it's larger, it has new high-end appliances, and it's got nice hardwood floors with nicely detailed molding and more. What it doesn't have is suitable Internet. At the apartment, we had both DirecTV (for TV) and Time Warner Cable (for Internet), and one trip to Speedtest.net showed download speeds of over 105 Mbps. That is fiber-optic-like speed and, in my humble opinion, is more luxurious than a Sub Zero fridge in the modern world we lived in. For example, we were able to download Gravity with full Blu-ray 1080p video and 7.1 audio in about three hours via the Kaleidescape Store. When we moved over here to the nice condo, we were locked into Verizon DSL. Yes, DSL...The neighborhood is wired for Time Warner, but the building has long-term, exclusive contracts with DirecTV and Verizon; thus, you can't have your own Internet brought in. Scary. A trip to Speedtest.net at the condo shows a pathetic 4.7 Mbps down. Contractually, Verizon owes us a download speed of 7 Mbps, but they can't and won't do anything about it, as I have called (and even begged) for them to help. They simply refuse to do anything, with 45 to 60 minutes wasted every call. Going from 105 Mbps to 4.7 Mbps, with under-1-Mbps upload speeds, is like moving from Manhattan to Mogadishu in terms of sophistication. Wanna stream Netflix in 4K to be really cutting-edge? I could've done it at the apartment, but now I can't stream Orange Is the New Black, House of Cards, or movies at ANY resolution with any level of reliability. I have to actually think about streaming my media during the day when people are at work. When I need to update my computer's software, I have to take the machine to work and do it there, as it may never get done at home. Forget backing up my computer to the cloud? It likely will never get done. At peak times, even loading a Web page or downloading email can be terrible or impossible. Bad Internet is something you might not even wish on your worst enemy. 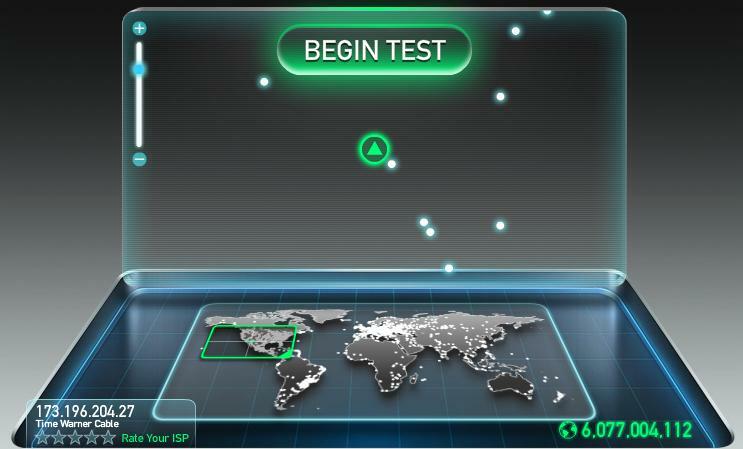 How hard is to get good internet? Read on to find out . . .